Building on the success of the Solarize Metro East in 2018, and Madison County / Glen Carbon program in 2017, The Madison County Sustainability Program, the Cities of Columbia and Belleville, Illinois, Lewis and Clark Community College, and Glen Carbon Cool Cities Committee have partnered with the Midwest Renewable Energy Association (MREA) to coordinate another solar group buy in Madison County and St. Clair County, Illinois. The advantage of a group buy is the power of volume purchasing, which can significantly reduce the up-front costs of installing solar on your home or business. The group buy is open to all Madison County and St. Clair County, Illinois property owners. 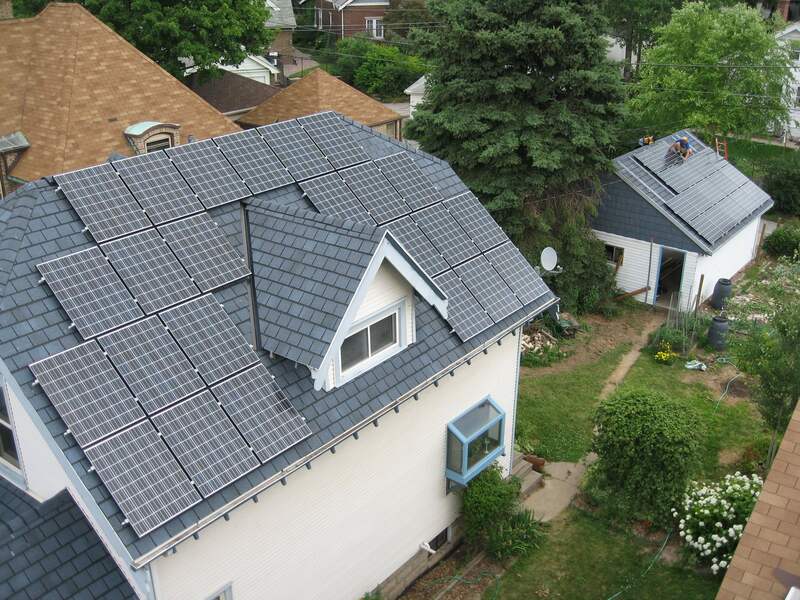 Dozens of solar group buys have been completed across the country in cities including Portland, Milwaukee, and Chicago, counties such as neighboring Iowa County, and in states from California to Vermont. Common elements that have led to success include competitive contractor selection, community-led outreach with a trusted community partner, and a limited-time offering. Competitive Contractor Selection: Solarize Metro East’s Advisory Committee is comprised of representatives from the MREA, Madison County government,the Cities of Columbia and Belleville, Glen Carbon Cool Cities Committee, and local residents. The MREA will issue a competitive Request for Proposals and select a single installer to help carry out the program. This way customers get the simplicity of working with a single installer, plus the confidence that the selection process was competitive. Limited-time Offering: Nothing motivates people like a deadline. Participants have until Autumn of 2019 to decide whether to go solar. Installations will take place throughout the program. The time-sensitive nature of the group buy adds urgency into the mix, and helps bring the price down for everyone. How? Read on. Pricing offered through the Solarize Metro East Group Buy is not guaranteed to be the least expensive rate for all solar arrays. Larger solar arrays may be able to achieve stand-alone economies of scale that allow for a lower overall cost. Individuals should consider all their options before signing a contract. Strong Customer Education: Community outreach and education are crucial to program success. MREA, a 501(c)3 nonprofit provides renewable energy training and education, works with local organizations to schedule and facilitate a number of one-hour Solar Power Hours around the community. These events help interested homeowners determine whether solar is right for them. We’ll go over the basics of solar, financials, how to tell if your site is ready for solar, and how to participate in Solarize Metro East. Getting well-informed participants to the table saves the installer hours and hours of marketing and education they would otherwise have to do themselves, and in turn, saves you money.